Recently the authorities have been seriously considering the possibility of imposing VAT which is supposed to have many advantages over other forms of taxation both for the tax-payer and the tax-collector. Most people do not have adequate knowledge about this form of taxation. This is why EVENTS consulted Farzin Entessarian about this form of taxation. Entessarian is a member of the Council of Representatives and of the Economics, Banking and Insurance Committee of Iran Chamber of Commerce, Industries and Mines. He is also an authority on quality management and marine surveys and insurance. Events- What is exactly meant by VAT? 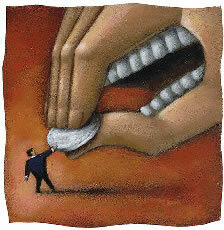 Farzin Entessarian- In general taxes are of two types: direct and indirect. 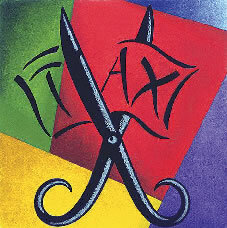 Direct taxes are those that are applied to incomes and profits made by companies and individuals. The second type is often in the form of duties and concerns mainly goods and usually they are not related to incomes or profits. Duties and charges that municipalities demand from manufacturers are one good example of indirect taxes. These can be payable more than once on certain items and this means injustice in the payment of taxes. One good example is a product that is produced using parts made by different companies. Each pays x% of its product value and the next producer pays another x% on the item produced and so on. Take the automotive manufacturing sector and production of cars. The company that produces the raw metal sheets pays a duty. Then the company that turns the sheet into pressed form pays another duty... until the car is produced and the producer pays yet another duty. The advantage of this form of taxation is that it is easy for the collector to calculate the amount because it is charged on the total price of the items produced, in other words every producer pays for all the previous stages of production without consideration of the extent of the involvement of each past stage in the total production process. 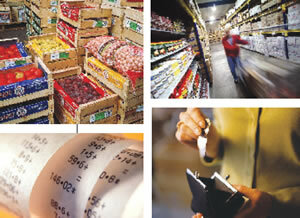 To avoid repeated payment of taxes the idea of VAT was developed. With VAT you only pay tax on the part of value of the item that you, that is your production processes, have added to the total value. The philosophy here is that he who affords to pay more on his consumption can afford to pay more taxes. The person who can afford cakes and pastry pays more tax than someone who can only afford to eat bread. E- Can we implement this form of taxation in our economic system? FE- Not quite! Firstly because our producers do not keep meticulous records of their accounts, so it would be diffi cult to work out how much the VAT comes to. We need to know the exact amount paid for the parts that make up every individual product and then know exactly at what price each is sold, whereas in the old system of direct taxation the tax-payer only has to know the total amount of his sales and then pay x% on that amount, but now in the new system a car manufacturer needs to have an industrial accountant and an exact system of accounting for the payment and collection of VAT. We have to have computer software and programs; we have to be connected to the countrywide IT system. Thus we face some real issues. We lack many tools and techniques that are needed for the proper performance of value added taxation. Besides, the producer has to determine the exact amount of tax he has to pay. Furthermore, at each stage of transaction, be it wholesale or retail, he must receive the tax from the seller to pay it in due course to the tax department at relatively short intervals, every two months say, whereas in the old system the amount of payable tax would be determined only once in conjunction with the tax auditor and would paid directly. You have to realize that in those countries that the VAT is easily applied almost all of the large companies that pay the main bulk of the VAT in those countries, have bar codes; they all know the exact cost price of each item they sell and so on. Through the bar code they refl ect the transaction to every point that should be informed and the VAT is automatically calculated and taken into account. How can you do this in our country and prepare your VAT accounts and the payments every two months? There are further complications still. For instance, in this country goods are often sold without invoices, or in cases of sales against installments or on consignment often at the time of payment further discounts have to be given beyond what was initially agreed on, or expected. By the way we must remember that there is another problem we have here, a cultural one. It would be very diffi cult to convince Iranians to pay on account and later to settle the accounts and receive back from the government what they have paid over and above what they should have. Past experience shows that it is very diffi cult - if not extremely - to get back money from the state in Iran! E- So you feel certain this won't be practicable in our country though it is a just and reasonable system of taxation. FE- Exactly! There is no doubt that it is an advanced and fair system of taxation which is being implemented in many advanced countries and even in some countries, like Jordan, which do not seem as advanced as our own. Jordan may not be as advanced as Iran industrially and technologically but it has a very well developed and advanced banking system. Our banking system is far behind the world. Even our credit card system that we began to develop 30 years ago is presently only a gimmick: it has very restricted use. We still face problems with our computerized taxation system: in fact we have one thousand and one problems in this area. E- So then it would be better for us to keep to our present system of taxation. FE- You see, we should first estimate how much the implementation of this system would cost us. We should know the costs from two aspects. First the costs of the taxation system, and second the costs which the consumer and the producer will have to pay for this change. E- You mean the costs of changing and modernizing the banking system, the customs systems, the state auditing system etc? FE- Exactly! Of course there is no doubt that these changes must be brought about. But we must know beforehand how much it will cost us. In a meeting I had with the relevant authorities, I asked them if they had worked out how much exactly this big change would cost us. How much it would cost the taxation system and how much it would cost the market and the consumers to bring about the changes. They evaded giving me an answer and when I insisted they said that the present taxation system costs 1% of the total amount of tax collected and the cost of the proposed operation should not exceed this level! This was truly amazing; I was fl abbergasted! Then I said "Suppose we accept your estimate, how can you ensure justice in taxation in a country where a government affiliated producer pays no tax for producing and selling its products because of its connection with the state but a competitor private sector has to pay taxes for the same items?" E- When can we, then, bring about the VAT taxation system without the present side effects? When will the grounds be ready for it? FE- Just today I drew a check against my bankers and asked them to transfer the amount of the check to another bank, not another branch of the same bank but a branch of another bank. They said they couldn't do it! They could only give me a bank guaranteed check which I would have to deliver to the other bank myself! Just imagine that, in a world in which most such transfers are now being made from one country to another by the Internet, your Iranian bank tells you that it will give you a check that your German bank will certainly and surely accept but you will have to take it to Dusseldorf yourself on the next fl ight out! Such transfers were possible till three years ago but not now. What has happened is that we have computerized our banking system but are stuck with it as a result of many defects, mainly because the banks did not act in unison and coordination. The old system of telegraphs worked, but the new computerized system does not! E- So how would you sum up your opinions on the subject? FE- I would say that the VAT system is excellent but we have to prepare the necessary grounds, the right infrastructure, for it, fi rst, and this will take some time and a great deal of effort.